You probably know the complexity of managing your business, especially in today's high speed of change. A Business coach helps you regain your focus, reframe your perspective instead of fighting with problems and running busy everyday. Beyond advice, you will find your own solutions to grow your business. You will be in touch with your PASSION and have PURPOSE for serving your customers. Thus, you will generate more revenues and attract more clients. Watch the video below "What is Coaching?" 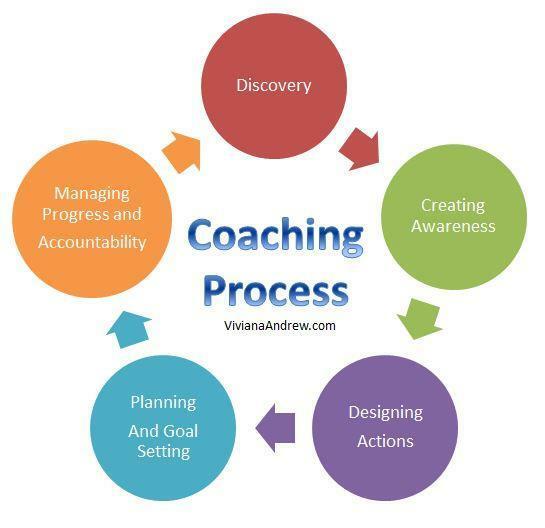 Viviana is an Associate Certified Coach (ACC) of International Coach Federation. She provides coaching to individuals, independent professionals, small business owners or solo entrepreneurs as well as to those who are in transition to seek a change in career or business. Her mentor coach cited that she helped the client shift a perspective or tackle a disempowering belief with ease. She has experiences in building her own career online and has worked with solo business owners. Basically everyone needs coaching to make measurable progress month after month so that they can have a positive life. Ask yourself what challenges do you want to overcome in your life? What goals do you want to achieve? Coaching is for you if you want to experience fulfilment and be ready to move forward in your life. You must take the initiative to seek coaching and be willing to be coached. What makes coaching different from other support services? Coaching is for you if you need support in achieving external goals in a safe and trusted environment. All conversations are confidential and coaches will not share them with anyone. Credentialed Coaches are trained to follow International Coach Federation's core competencies for coaching. What do we expect from a client? It is your choice as to how far and how fast you want to go. For maximum results, you must have willingness to “to do the work." You also need to be coachable; this means being open to make changes in your behaviors and perceptions. The coaching process is about taking action. The coaching relationship is in no way to be construed as psychological counselling or any type of therapy. What can you expect from a coach? The coach will create and sustain a safe haven for the client to explore, make mistakes, discuss new ideas, evaluate past or current challenges, express fears and concerns, and ultimately let the client be himself/herself without fear of judgement. The coach will adhere to 11 coaching core competencies coaching governed by International Coach Federation. Discovery: the first step to discover what you really want from our coaching session, your objective or goal at the end of the session. Creating Awareness: Helping the client to have self-awareness. Awareness is the key for the client to gain clarity and find her own solution. Designing Actions: Exploring possibilities and opportunities and help the client design the actions. Planning and Goal Setting: making the plan and set the goal which is attainable, measurable and have target dates. Managing Progress and Accountability: follow up with client what has been done, not done and allow the client learn along the way and make adjustments. "You must take personal responsibility. You cannot change the circumstances, the seasons, or the wind, but you can change yourself. That is something you have charge of."